Farmington Hills, MI… Philips Automotive North America, a division of Royal Philips (NYSE:PHG), offers its X-tremeVision Headlight Bulb for drivers that want the maximum lighting performance available. The Philips X-tremeVision is the brightest and most powerful bulb in Philips Automotive’s recently launched line of premium upgrade headlight bulbs. It delivers up to 100% more light than standard Halogen bulbs, providing drivers with maximum performance and nighttime driving visibility. Philips X-tremeVision headlight bulbs are street legal and DOT approved. They are designed to deliver the same quality as Original Equipment. Philips X-tremeVision is made for drivers who want to put more light on the road, so they can see obstacles better and hazards sooner. This helps provide the extra margin of safety and visibility that drivers need. 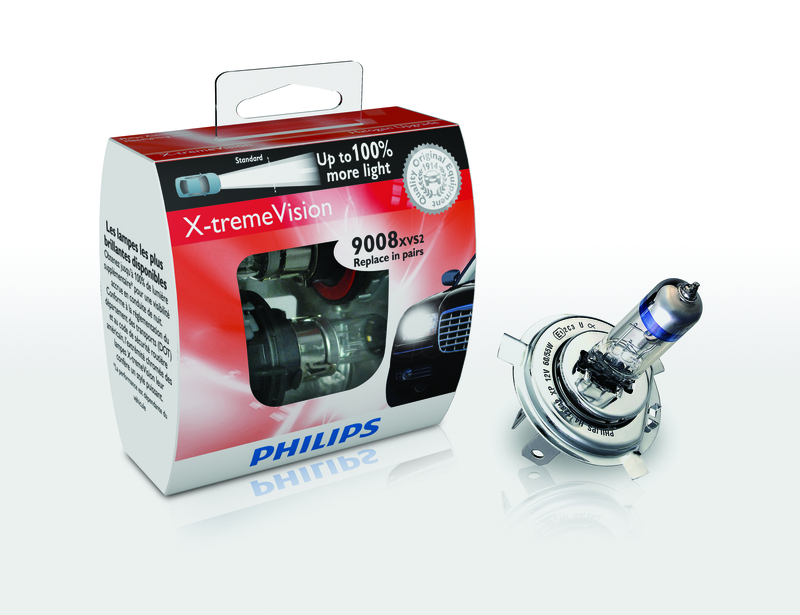 Philips X-tremeVision bulbs are available in 9003, 9004, 9005, 9006, 9007, 9008/H13, H7, and H11 configurations. From high performance lighting that improves driver safety, to lighting designed to enhance the style of your ride, Philips offers automotive lighting that will help you make the most of your driving experience. All Philips Automotive products incorporate the leading edge lighting technology and original equipment quality that have made us the first choice of car manufacturers around the world.